The long harsh Baltimore winter finally gave way to Spring, and on the first Saturday of May the sculptures come out to play. 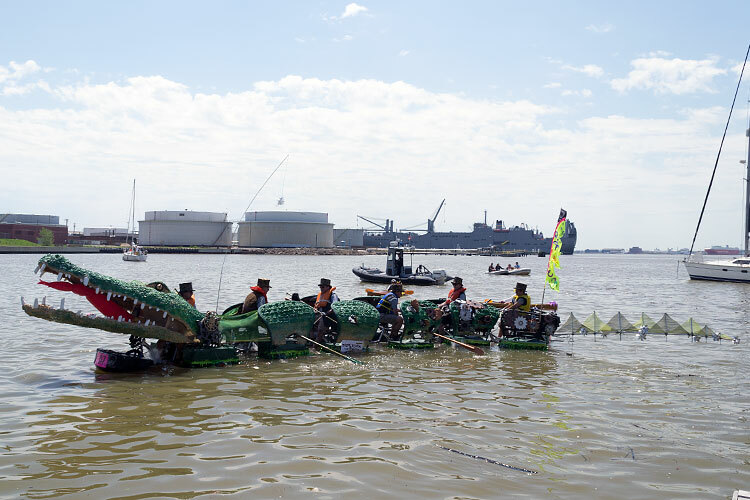 With 31 sculptures from 24 teams, spectators got their money’s worth as spectacular sculptures returned with major revisions, including the now-missing PLATYPUS and Alice’s caterpillar metamorphosed into Peter Pan’s Grand Mediocre crocodile. 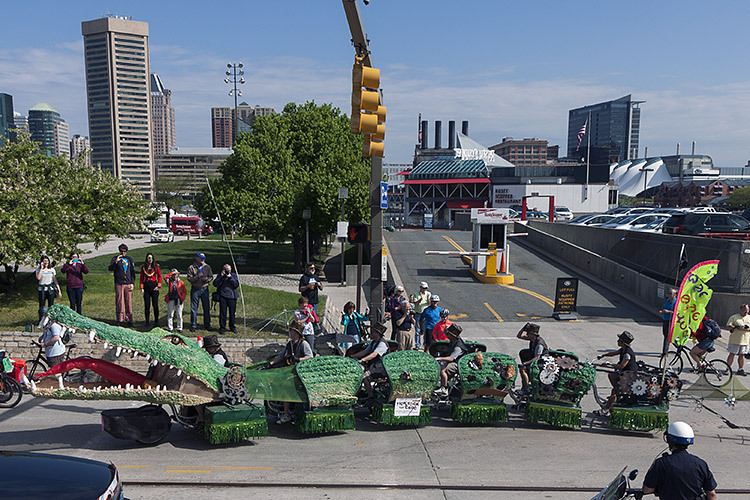 With six agile photographers leaping throughout the racecourse, KineticBaltimore.com is proud to bring you this year’s coverage. Thanks to further investment in cameras, this year’s images have 56% more pixels than last year, and more than twice as many as our 2009 coverage. 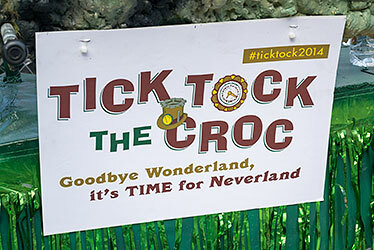 Sweeping an astonishing collection of awards, Tick Tock the Croc was awarded Grand Mediocre and Art by the judges, People’s Choice by the people, and Marine Posse Favorite by the Kinetic Kayak Rescue & Repair teams. 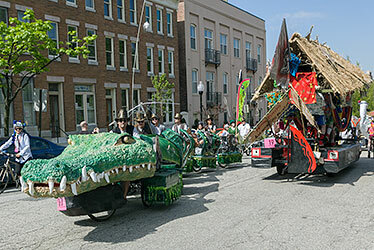 The Kinetic Race Rules require sculptures be 35 feet long or shorter. Why not make it 35? This isn’t just any crocodile. This is the crocodile to which Peter Pan fed Captain Hook's hand. 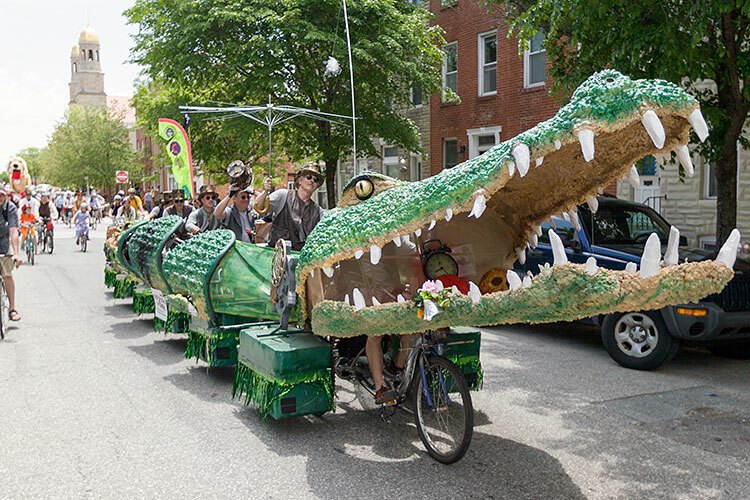 The high-velocity Croc zipped down Lombard Street showing off the clock and skull inside. 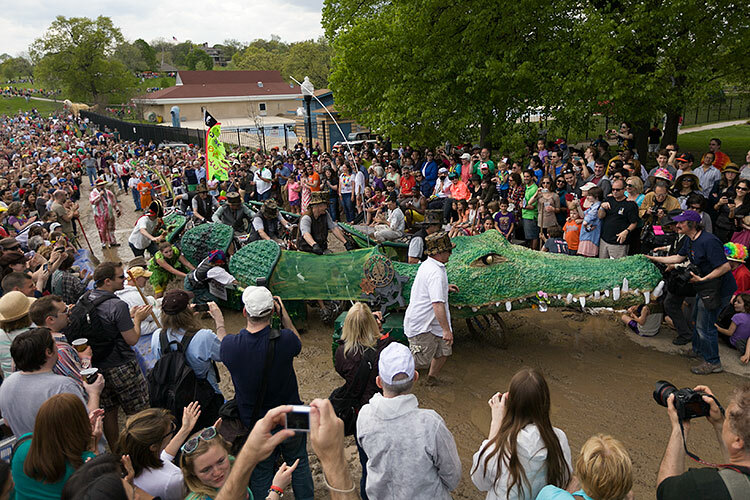 In the mud, the Croc started to jackknife into the crowd, but caused no injuries—far better than one would expect	from a 35-foot crocodile loose in a crowd. 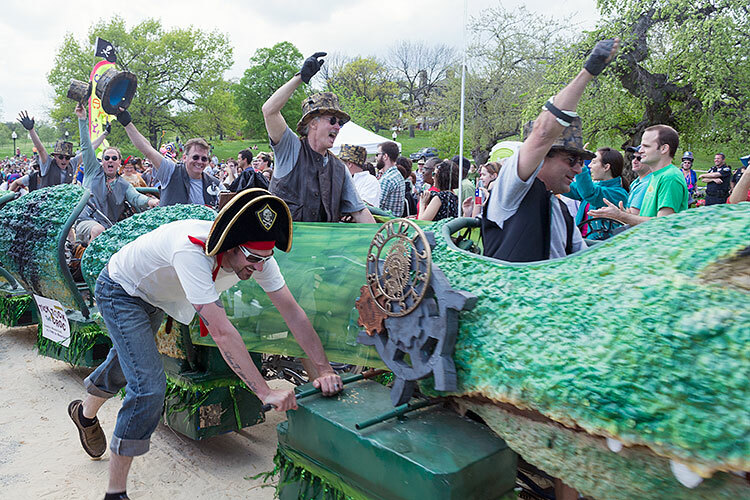 The Croc soared through the sand with jubilation. 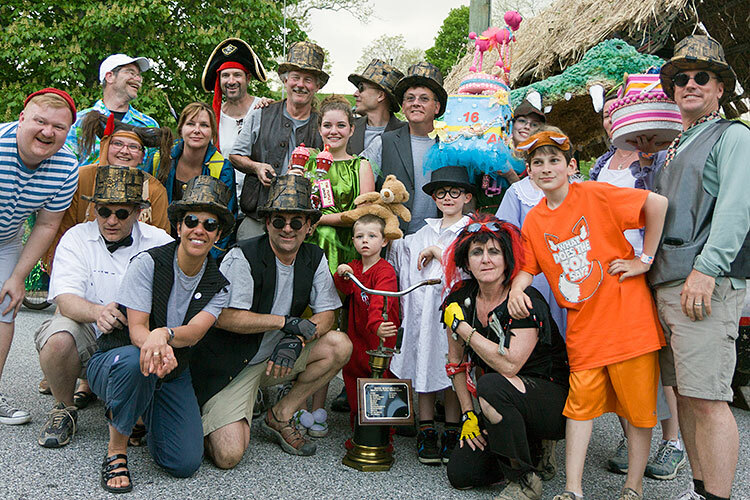 The crew includes pirates, lost boys, Darlings, Tiger Lily, and Peter Pan.